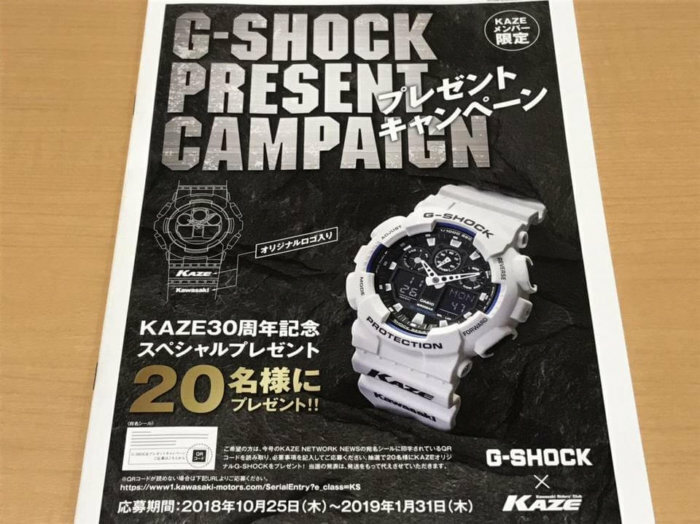 To celebrate its 30th anniversary, members of Japan’s Kawasaki KAZE Riders’ Club will have a chance to win a custom white G-Shock GA-100B-7AJF featuring Kawasaki and KAZE logos on the lower band. Members have until 31 January 2019 to apply and only 20 lucky winners will be chosen with shipment to take place in March. This is the only way to officially acquire this special edition G-Shock as it will not be made available for sale.